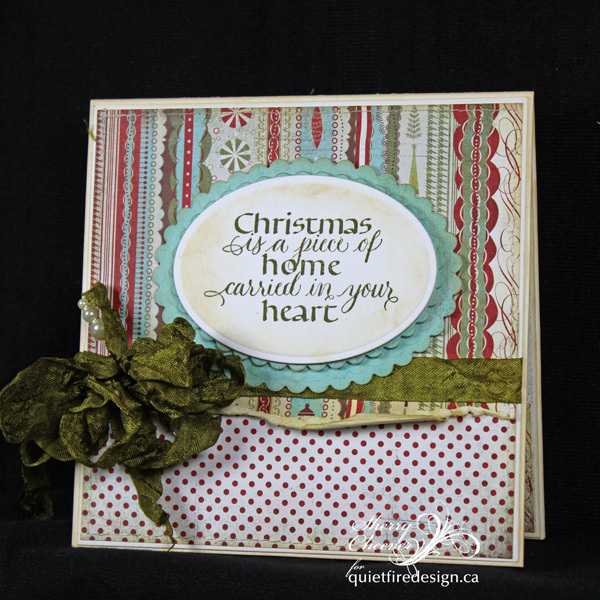 Quietfire Creations: Christmas is a Piece of Home! Sherry, I love this and using all of your "old" paper is something we all need to do. Thanks for the idea. Love the stamp. Lovely card, inside and out! I really like how the inside is a re-interpretation of the front...just flipped. 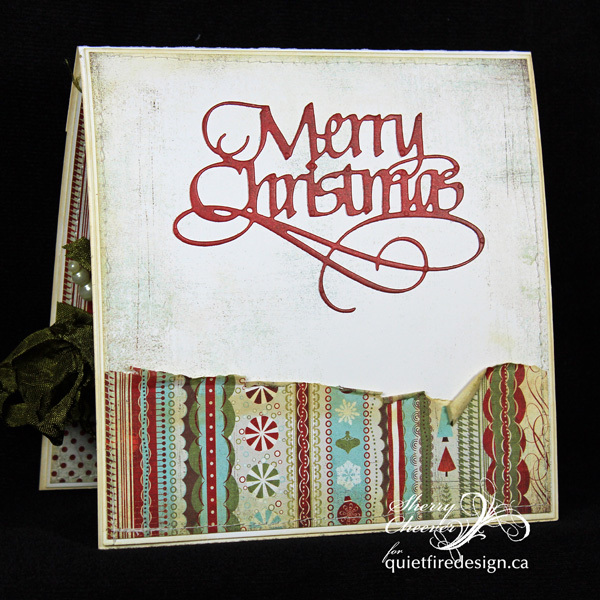 Great idea and I enjoy seeing paper from the past reappearing with new stamps and dies. Thanks for the inspiration. Another gorgeous card!! I'll be digging through some of my old paper now! 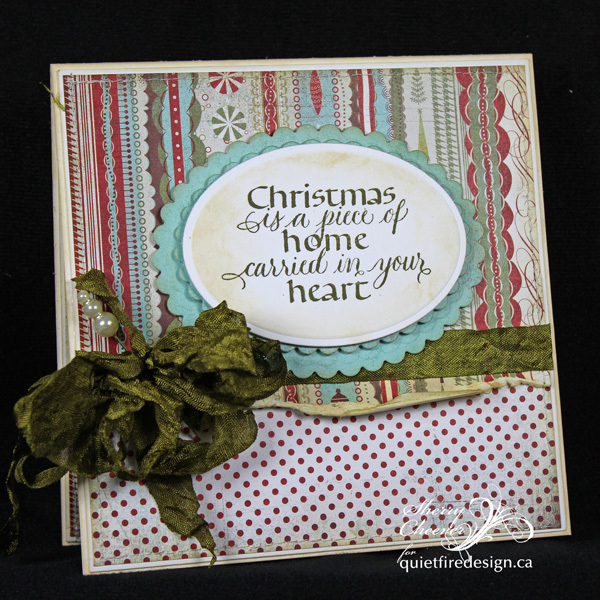 LOVE the sentiment and the rumpled ribbon is the perfect accent!! !